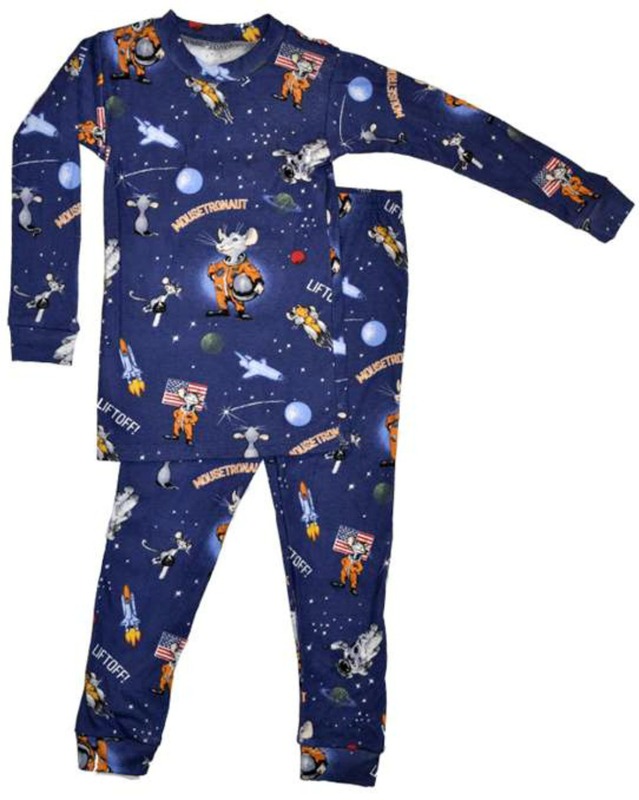 Wonderful soft 100% cotton licensed Mousetronaut Book printed cotton pajamas are perfect for bedtime story time and sweet dreams. Fine quality cotton and the licensed signature Mousetronaut print. Machine wash. Made in U.S.A.